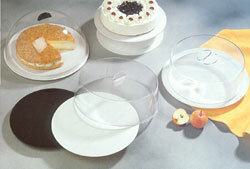 Display Cake Plates, with/without clear covers. 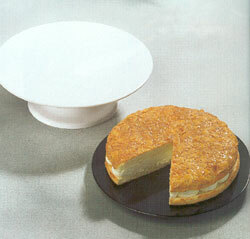 24, 30 or 32mm diam. in black and white. Static and rotating models - all to give that first class display!